February has proved to be a busy and interesting month for the Fighting Irish! With the two “cold days” closing school and all Notre Dame facilities, combined with a blizzard cancelled practice and another cancelled due to a lightening storm, the Irish have missed a total of four practices. But never fear, the Irish work hard both in and out of the pool! We kicked off the season with a tournament hosted by the University of Michigan at Huron High School. However due to excessive snow Saturday morning, we were unable to travel that day and ended up coming up to Ann Arbor that Sunday. University of Michigan was very accommodating with all of our travel snags. 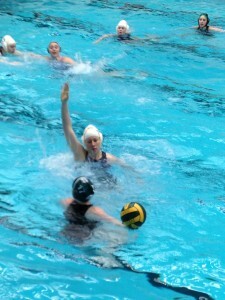 We were able to play University of Illinois and scrimmaged University of Michigan’s A/B squad. We beat University of Illinois. The following weekend took us to Michigan State University, where we were able to enter an A and B Team, allowing everyone more playing minutes! Both teams worked extremely hard, each playing four games over the course of two days. 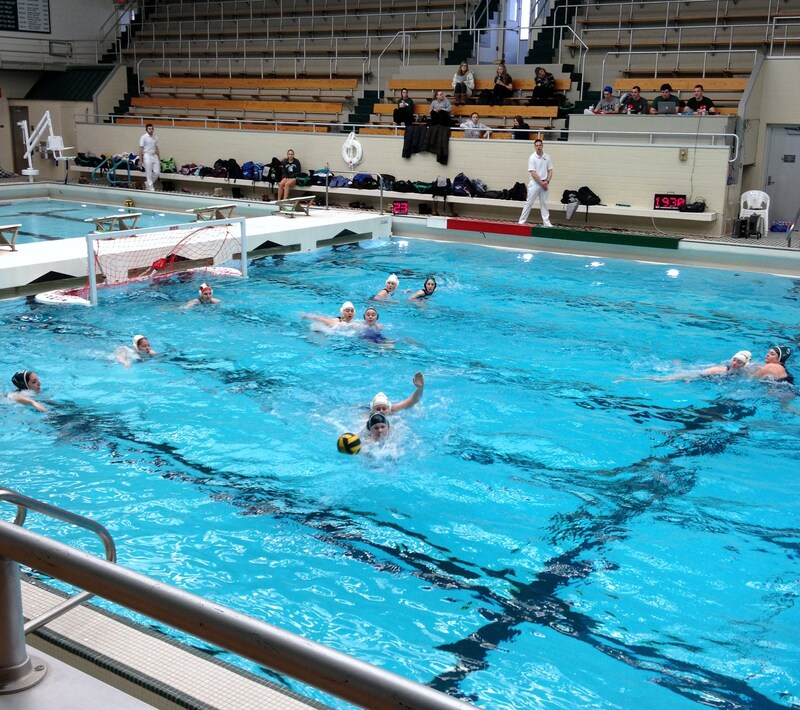 Notre Dame A went 3 – 1 that weekend beating Michigan State A and B Teams and Carnegie Mellon, but falling to Lindenwood in a physical match 7 – 12. Notre Dame B put forth a fantastic effort that weekend, with a solid win against Eastern Michigan University. With a week off because of JPW, we were able to run some solid practices leading into this Midwest Qualifier Tournament, held this past weekend (February 22-23) at West Ottawa High School by the host team, Grand Valley State University. The Irish went 4 – 0 on the weekend, securing the #1 seed for the Midwest Championship Tournament. 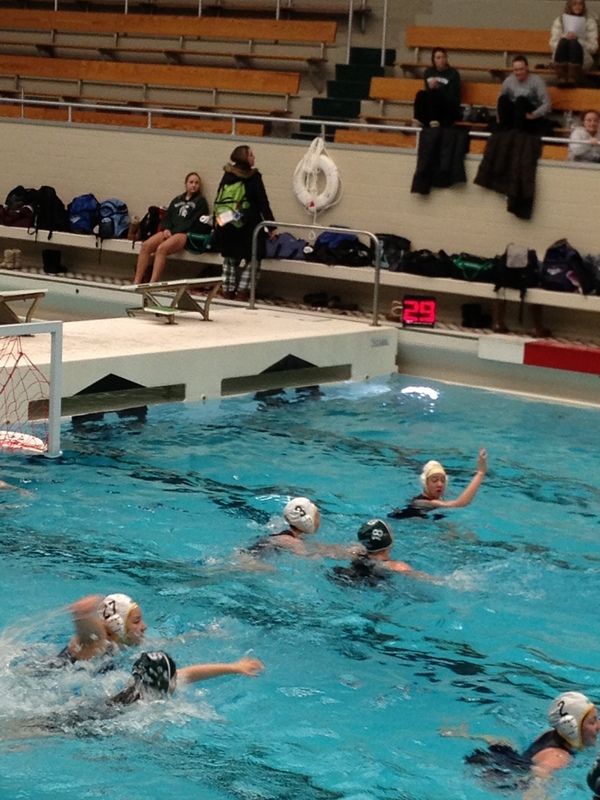 The Fighting Irish made a strong statement, beating Grand Valley State University 15 – 7. Thank you to family and friends of Notre Dame Women’s Water Polo who have made it out to these tournaments! We appreciate your support!